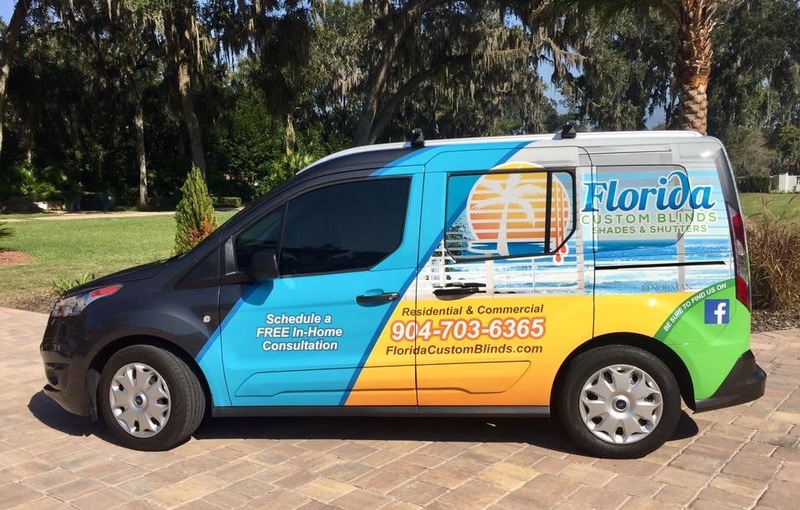 Florida Custom Blinds, Shades & Shutters has been proudly serving the Greater Jacksonville and surrounding areas since 2005. Being independently owned and operated enables us to offer top quality window coverings with lifetime limited warranties, at an affordable cost. Our #1 goal has always been to ensure our clients experience exceptional customer service from our expert design consultants and professional installers. Since your family’s safety is of the utmost importance, we’re always conscience to provide you with alternatives to keep your children and pets safe and free of hazards caused by corded blinds and shades. We are an active participant in the WCMA “Best for Kids” certification program. As part of our commitment to the protection of your home, we offer cordless and motorized blinds and shades. If adding value to your home is something that interests you, we carry a full line of beautiful plantation shutters that will cover any size or shape window, as well as most doors. We believe that selecting the perfect solution for your windows and doors is best when seen in the light and décor in which they will live. Therefore, we make shopping for window coverings easy and convenient by bringing our mobile showroom right to your home or business. It’s simply good business for us and for you. In today’s fast paced world, we know your time is valuable. It is our commitment to arrive at your home in a timely manner, and treat you and your home with the utmost respect. We promise to listen and help find the perfect solution for your window covering needs. We will measure your windows and doors and provide you with an estimate at the time of your complimentary in-home consultation. In return, we ask that all decision makers in the process of selecting your blinds, shades, and/or shutters, be present while we are at your home. This enables us to thoroughly answer any questions or concerns you have at the time of purchase. Because our products are custom, all sales are final. As soon as your beautiful new window coverings arrive, a professional installer will contact you to schedule the installation of your new blinds, shades and/or shutters. It’s simply that easy and convenient. The roots of Florida Custom Blinds, Shades, & Shutters sprouted in 2005 when Julie recognized a need for the booming housing industry in Northeast Florida. With more than 20 years of experience – in both retail and manufacturing – she knew that providing excellent customer service and exceptional window coverings were her top priorities. Since our inception, we have been pleased to serve over 1,200 residences and businesses throughout the Greater Jacksonville area. 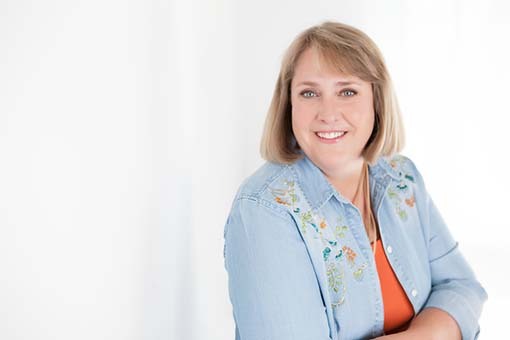 It is Julie’s passion to help her clients transform their house into a beautiful home. As a native Floridian, wife and mother of two sons, Julie enjoy spending time out on our beautiful waterways boating and fishing with family and friends. She also enjoys RVing, traveling, and exploring new places. It has been her privilege to visit several different window covering manufacturing facilities throughout the world. Staying on the cutting edge of new and innovative products goes hand in hand with Julie’s love for interior design. Florida Custom Blinds, Shades, & Shutters has been proudly serving the Greater Jacksonville and surrounding areas since 2005. Being independently owned and operated enables us to offer top quality window coverings with lifetime limited warranties, at an affordable cost. 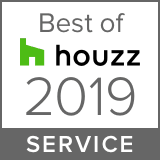 Our #1 goal has always been to ensure our clients experience exceptional customer service from our expert design consultants and professional installers. Because your family’s safety is of the utmost importance, we’re always conscience to provide you with alternatives to keep your children and pets safe and free of hazards caused by corded blinds and shades. We are an active participant in the WCMA “Best for Kids” certification program. As part of our commitment to the protection of your home, we offer cordless and motorized blinds and shades. If adding value to your home is something that interests you, we carry a full line of beautiful plantation shutters that will cover any size or shape window, as well as most doors. We believe that selecting the perfect solution for your windows and doors is best when seen in the light and décor in which they will live. Therefore, we make shopping for window coverings easy and convenient by bringing our mobile showroom right to your home or business. It’s simply good business for us and for you. At Florida Custom Blinds, Shades, & Shutters, we believe that the installation of your new window coverings should be a pleasant experience. Therefore, upon arrival and greeting you, a professional installer will begin unpacking all window coverings outside your home or business. It is our goal to keep your home or work space clean and free of outside dirt and debris. Please note that motorized window coverings take more time to install than manually operated window coverings, due to programming on site. After the installation process is complete, the installer will demonstrate how to operate your manual or motorized window coverings. Boxes and trash are completely removed from the premises, so you can enjoy your beautiful new blinds, shades, and/or shutters. All our professional installers are licensed and insured through the state of Florida. Learn more about shutters by contacting us for your complimentary in-home consultation.